Integrated Health Otago was established in 2014 by Jim, after over a decade of planning a health care service that addresses the specific needs of each individual client with both acute and chronic conditions. 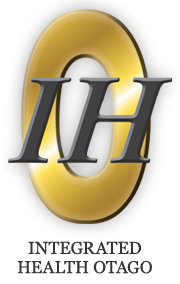 Jim is qualified as an Osteopath, Physiotherapist and Digestive Health Practitioner who has worked in the public and private sectors as well as with high profile football teams and elite British Athletes. Jim’s vision was to combine Osteopathic philosophy, where the body is considered a complex integrated system, with biomechanics, muscle balance and rehabilitative techniques of Physiotherapy. 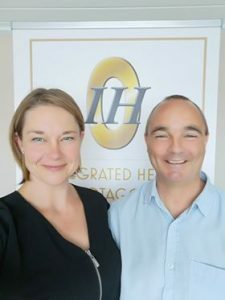 Together with his wife Deb, they have grown IHO to combine allied health services such as digestive health and acupuncture in order to provide a progressive all round health care model that is unique to their clinic.